Broken Car Key Stuck Inside the Ignition Switch or Door Lock in Racine Wisconsin? 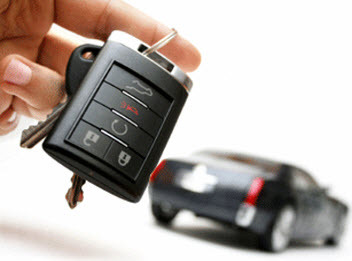 You need the Best Automotive Locksmith Services! It can happen to anyone – you’re in a hurry and you accidentally break your car key when you inserted it inside your ignition switch or car door lock. That could be one of the most frustrating things that you will encounter all day long – or even in the whole year. It is one thing to get yourself locked out of your car but another when you break your only car key and have no spare! When you accidentally break your key inserting it into your car door lock or ignition switch, the last thing that you need to do is panic and get angry. Yes, it is frustrating, especially when you don’t have a spare key but you won’t be able to think straight when you let your frustration get the better of you. •	Use Tweezers – If you are still at home, you can find some tweezers to try to remove your keys from the car lock or the ignition switch. Be careful when inserting the tweezers and pulling out the key as you could accidentally damage your car lock or your ignition switch. Having a new car lock or an ignition switch installed is more costly than having a new key made it! If you are successful in extracting the broken key, you have the option of having the key duplicated or a brand new key made and the lock or switch rekeyed. If you are unsure or have decided there’s no way to remove the key without damaging the lock or ignition, it is best to call an auto locksmith like Best Locksmiths. We will remove the key for you and will also do the duplicating or reproduction of new keys for you. •	Have the Key Duplicated – Having your key duplicated before you need it is a great idea and the best way to prevent being locked out of your vehicle! That way, you will have a brand new key and also a spare key that you can keep in your wallet or somewhere safe. If your key cannot be duplicated, you can always order a new one using your car’s VIN. An auto locksmith like Best Locksmith can produce a new key using the serial codes, which tell us exactly how to cut a key so that it will fit your car. Another method that we can use is by looking into the ignition of the car and reproducing a key that can fit in it. Best Locksmith can also upgrade your car keys to have a chip in them to ensure that your car won’t start if a wrong car key made is inserted on the ignition. This costs extra but it can save your car from being stolen! Contact Best Locksmiths today for the best locksmith services in the Greater Racine Wisconsin area! Security conscious individuals are a must in this day and age. Especially when it comes to your business. If you are not worried about the security measures afflicting your enterprise, perhaps you need to prioritize and take a moment to get to know who works in your building (and who has worked there in the past). It has become an unfortunate fact of life that trust has to be earned, and the morale of employees just isn’t what it used to be. Your business needs to be protected and with today’s cutting age technology, there is no reason to leave your building unprotected. 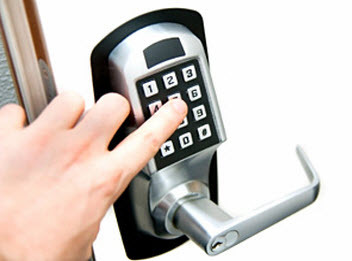 Access control systems gives you complete control, and gives your property tight security. Access control systems is one of the best electronic systems that will make your traditional key locks seem primitive in comparison. To provide access to your property; codes, finger print readers, and security cards will enhance your security system. With traditional keys, your employees, or even ex-employees, have untraceable access at any time of day or night. With access control systems and keyless entry, you will know is entering your building, and a log of times entered, giving you complete control and knowledge of what’s going on; even if you can’t be there. You will no longer have to worry about lost, stolen or unreturned keys to your business again. If an employee no longer works for you, it is a quick and easy job to reset their credentials to longer give them access. Access control systems can even be programmed to alert you if a door is open too long. The benefits to having access control system and keyless entry is priceless. Here are just a few key points: Greater security for all of your employees. The only people with access to your buildings inner workings is the personnel who belong there. Reduced risk of theft and violence. When employees know the security is tight, they are less likely to steal from the company, or lash out with violence. 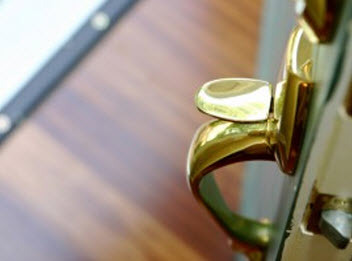 Costs of changing locks or copying keys are history every time an employee comes or goes. With access control systems, it’s a matter of regularly maintained data entry. Tracking hours and employee whereabouts becomes a much simpler task. Sensitive documents and equipment security has enhanced leaving you with peace of mind your business is not only protected to the uninvited guest, but your employees as well. The benefits to these high-tech systems are countless. There are a variety of keyless entries, and access control systems on the market today. Best Locksmiths of Wisconsin can assist you on the perfect fit for your commercial building and keep your property secure and protected. With the vast array it can be a little confusing on what’s right for you. Questions and concerns are encouraged and a consultation is provided for you can get the best understanding what an access control system and keyless entry can do for you. Contact us today!